A dead body Longmire discovers on a park bench may be the long-missing heir of a large fortune, and Henry breaks his house arrest to investigate Malachi Strand and Jacob Nighthorse. A dead body Longmire discovers on a park bench may be the long-missing heir of a large fortune, and Henry breaks his house arrest to investigate Malachi Strand and Jacob Nighthorse. Absaroka County is having a population crisis. People are now dying on the park benches. I really like the show, but I am removing visiting Absaroka County from my 'Bucket List.' Granted I would not worry at all. You see, Walt and his troop of Deputies all have the problems well in hand. While solving this week's crime, the Branch Saga continues. He has decided to go out-a-hunting. Vic pairs up with him because she suspects he may be up to no-good. I don't think they are after deer, and neither does Vic. I didn't see Mathias, but if I were those two, I wouldn't mess around in his jurisdiction. 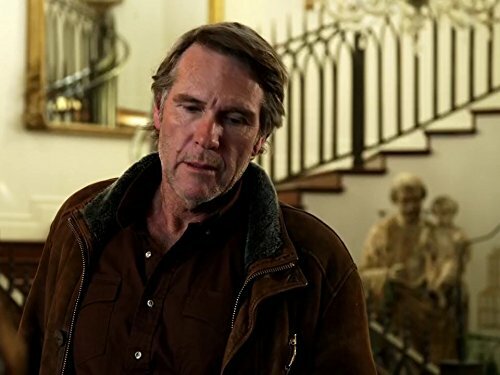 He does a pretty good job keeping, "The Longmire" gang in check. The Ferg is back, all trained-up and ready to go. Nice to have him back and helping, 'The Mire' with catching all those danged evil doers, no-gooders and just plain old criminals. I also see that Cady Longmire is all bent out of shape over Henry. It seems Lou Diamond Phillips is taking matters into his own hands (sounds kind of like Walt and Branch) and forgets to bring his fancy locater bracelet. While he is perusing the wild country, Cady is going ballistic and must certainly wants to strangle Mr. Standing Bear. I have great faith in the producers, directors and writers, because this episode is definitely building up to one hell of a hair-raising finale. This is another great installment of an outstanding show. Oh - I almost forgot, this week's show is about some supposedly wealthy vagrant found on the city bench, right in front of the sheriff's office. Can't say much more...but very mysterious.